Following the Islamic State’s claim of responsibility for the November 2015 attacks in Paris, Western intelligence agencies have doubled their efforts to locate European jihadi cells, all the while increasing the scale and scope of airstrikes against the group in Iraq and Syria. Although the Charlie Hebdo and Hyper Cacher atrocities in January should have served as notable warning signs of the Islamic State’s global reach, few could have predicted the scale and scope of what is now the deadliest terror attack in Europe since the 2004 Madrid train bombings. There was one clear warning sign that Europe was facing the spread of Islamic State terror and it came from the alleged mastermind of the attack, Abdelhamid Abaaoud. Several months prior, Abaaoud had bragged in an interview with the Islamic State’s Dabiq magazine about how easy it had been to evade Belgian authorities, “They [Belgian police] arrested Muslims in Greece, Spain, France, and Belgium in order to apprehend me. I was even stopped by an officer who contemplated me so as to compare me to the picture [released to the public], but he let me go as he did not see the resemblance,” he said. Abaaoud went on to describe how he and many others were able to move freely from Syria to Europe, providing important insight into the Islamic State’s emerging global network of terror. 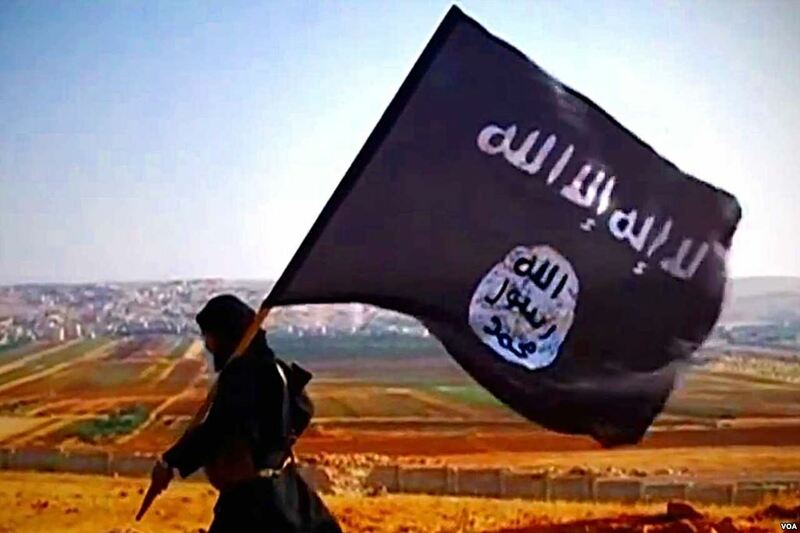 This begs the question – how did the Islamic State successfully transform itself from a small group of Arab mujahideen fighting the Soviets in Afghanistan into what is arguably now the most feared organization in the world? Iranian operative Imad Mughniyeh was instrumental in the training, development, and support of Hezbollah, Hamas, and al-Qaeda – and thus its offshoot, the Islamic State. Abu Musab al-Zarqawi and the rise of al-Qaeda in Iraq (AQI), the predecessor to the Islamic State, has been well documented; comparably little attention has been given to the group’s global reach. While the Islamic State was born out of Osama Bin Laden’s global jihad against the West, many overlook the importance of another player in the equation – Iran. This may seem surprising given that Iran, the stalwart of the Shi’a Crescent, is currently embroiled in a regional war against the Islamic State in both Syria and Iraq. However, Iran’s Ministry of Intelligence and Security, described as one of the “largest and most dynamic intelligence agencies in the Middle East” by the Pentagon’s Irregular Warfare Support Program, has, over the past 20 years, provided financial, material, technological, and other support services to AQI. The man responsible for fostering this unexpected relationship was Imad Mughniyeh. While his name may not carry the same perceived significance as Osama Bin Laden, Mughniyeh commanded a vast international terror network that included Hezbollah, al-Qaeda, Hamas, and a myriad of others, spanning over five continents. From his humble beginnings as a sniper in Yasser Arafat’s Force 17 to his final days advising Iranian-backed terror groups throughout the Middle East, Mughniyeh represented the bridge between the unsuccessful secular Arab terrorists of the 1960’s and 1970’s and their contemporary Islamist counterparts, as is evident in the rise of Hezbollah and al-Qaeda. Quietly dispelling rumors of a Sunni-Shi’a schism, he was able to establish links between Sunni and Shi’a extremists, providing them with the unifying goal of attacking the West. Mughniyeh’s unique heritage of Lebanese and Palestinian descent and religious identification as a Shi’a provided him with historical resentment against Israel and a religious affiliation that would merit his participation in a transnational Shi’a power struggle. The family’s origins are in the Galilee Valley of northern Israel, where Mughniyeh’s grandfather was a prominent Shi’a religious leader in the early 20th century. The Mughniyehs, unlike most Palestinians who are Sunni Muslims, were Shi’as, and moved to southern Lebanon in the early 1940’s. The family possessed a very high status in the pantheon of Lebanon’s Shi’a clans because of the clerical leadership of Sheikh Mohammad Jawad Mughniyeh, a cousin of Imad and a prominent Shi’a cleric in Lebanon in the 1960’s and 1970’s. 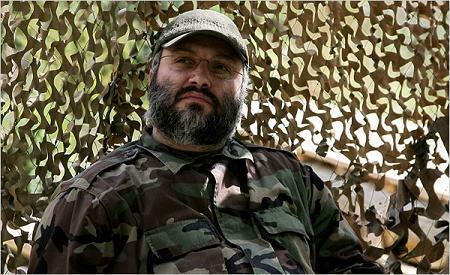 While Imad Mughniyeh’s birthplace has been often debated by both intelligence agencies and historians alike, what is known is that the family surfaced in southern Beirut’s Ayn al-Dilbah slum in the early 1970’s. The neighborhood, which experienced an inundation of Palestinians after the expulsion of the Palestinian Liberation Organization from Jordan in September 1970, became a major recruiting hub for the PLO’s various armed elements. Mughniyeh grew up during the Lebanese civil war, which broke out in 1975. By the late 1970s, Mughniyeh had been recruited to join the nefarious Force 17, the PLO’s elite security force, where he became a personal bodyguard to Yasser Arafat. As a member of Arafat’s inner circle, Mughniyeh trained under Black September terrorist Ali Hassan Salameh – the architect of the 1972 Munich Olympics attack which killed 11 Israeli Olympic athletes – in the arts of counterintelligence, bomb-making, and guerrilla warfare. In response to the PLO’s rapid growth in Lebanon, the Israel Defense Forces began an extensive military campaign in southern Lebanon. Following a Fatah-led terrorist campaign in March 1978 that led to the deaths of 38 Israeli civilians, including 13 children, the IDF launched Operation Litani to establish a buffer zone in southern Lebanon. While the initial operation only lasted seven days, it served as an important precursor to the 1982 Operation Peace for Galilee, which sought to oust the PLO from Lebanon. Over the span of five days in early June 1982, Israel successfully forced Arafat’s withdrawal from Beirut. However, the remaining PLO infrastructure would soon pose a graver threat to the Jewish state. Just as the PLO’s hold on Lebanon began to crumble, Ayatollah Khomeini sought to capitalize on the power vacuum in Lebanon by expanding his Islamic Revolution westwards. Many of the military leaders in the Iranian regime knew the country well, as they had trained there prior to the 1979 revolution under the direction of Arafat. Lebanon was selected because of its large Shi’a population, deep religious ties with the seminaries of the Iranian city of Qom, and the Iranian Revolutionary Guard Corps’ ties with PLO commanders who had previously trained them. In Israeli journalist Ronen Bergman’s book The Secret War with Iran, he notes that during a July 1982 meeting in Damascus, the Syrian government pledged its full support to the establishment of Hezbollah because of their shared hatred of Israel and the West. All of the attendees analyzed the problem of Israeli occupation in Lebanon and called for the implementation of jihad in order to expel Israeli and Western forces. In exchange for oil, Syria allowed the IRGC to enter Lebanon and orchestrate the creation of an Iranian-backed guerrilla force. Due to the historic links between the IRGC and the PLO, the Iranians began recruiting former Force 17 members for its new Shi’a militia. At the top of the list stood Imad Mughniyeh. While initially hesitant, Mughniyeh was impressed by the plans to create an entirely Shi’a Lebanese force in Lebanon with three specific goals: warring with Israel, forcing the West out of Lebanon, and purging Lebanon entirely of foreign influence. Most importantly, the Iranians argued that they, unlike secular Arab governments, were the only Muslim nation willing to take action against Israel’s military operations in Lebanon. Shortly thereafter, Mughniyeh was tasked with establishing the Islamic Jihad Organization (IJO), a shadowy precursor to Hezbollah. As the leader of the clandestine group, Mughniyeh received an officer’s pay in the IRGC as the head of a secret unit called Amin al-Haras, translating to “Security of the Guards”; however, only his handler and a few other IRGC commanders knew of its existence. It did not take long for Mughniyeh to organize the first of many terrorist attacks that took place in Lebanon during the early 1980s. After the IDF invasion of Lebanon in June 1982, the Israelis set up a security zone in the southern Lebanese city of Tyre from which all future intelligence and military operations would be based. Mughniyeh targeted the main Israeli headquarters building in Tyre on November 11, 1982. Approximately 75 Israelis were killed in the attack, including most of the Shin Bet’s operational personnel in Lebanon. Bergman’s book notes that the attack served as “the bomb that spawned a movement,” marking the first of many terrorist attacks Imad Mughniyeh and Hezbollah carried out in Lebanon and abroad. Over the next few months Mughniyeh was busy recruiting for the IJO, while at the same time furthering his ties to local Shi’a religious leaders such as Sheikh Mohammad Hussein Fadlallah. Fadlallah, who became a leading Shi’a cleric in Lebanon, harnessed the fervor of the Iranian Revolution to attract a younger generation of Shi’a to join what would eventually become Hezbollah. In particular, Fadlallah issued a series of fatwas in the early 1980’s that condoned suicide attacks against both Israeli and American targets. Following the Tyre attack, Mughniyeh had been invited to attend a high-level meeting in Damascus as Fadlallah’s proxy; the attendees included Iran’s Ambassador to Syria, Ali Akbar Mohtashemi-Pour, along with numerous Syrian intelligence officers. It was there, in March 1983, that Mohtashemi-Pour officially merged the early Hezbollah cadres into one unit, which would be coordinated through the Department of Islamic Liberation Movements, a sub-unit within the IRGC that was later transferred to the Ministry of Foreign Affairs. Because of Mughniyeh’s success in the 1982 Tyre bombing, it was decided that Hezbollah would carry out a series of suicide bombings targeting both the American and French Multi-National Force (MNF) troops who had arrived in Beirut in August 1982. While the April bombing of the U.S. Embassy succeeded in sending a message to the Americans, they were not yet ready to leave Lebanon, leading Mughniyeh back to the operational drawing board. In what would be the deadliest attack on Americans until 9/11, Mughniyeh coordinated simultaneous suicide attacks on the United States Marine Corps barracks and the French paratrooper barracks in Beirut on October 23, 1983. The bombings, nearly identical to the U.S. Embassy attack, killed 241 U.S. Marines and 58 French paratroopers. In the wake of the attack, the IJO quickly claimed responsibility, threatening that “the earth will tremble unless the MNF leaves Lebanon by New Year’s Day 1984.” The Lebanese government quickly requested the departure of the MNF, fearing internal strife about any government support for a continued American presence in Lebanon. Less than two weeks later, Mughniyeh returned to Tyre to orchestrate an attack against another Shin Bet installation, which killed 28 Israeli nationals. 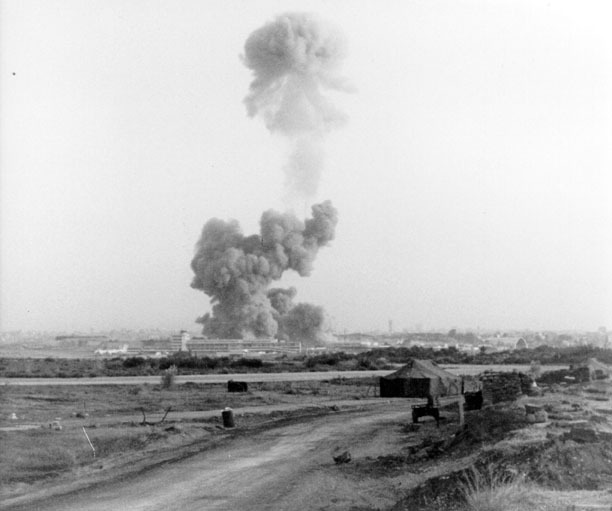 Unlike the U.S. Embassy bombing, the October attacks convinced both the Americans and French to leave Lebanon. By successfully expelling the MNF, Mughniyeh impressed his superiors in Tehran, while also gaining credibility from the Lebanese population. The tactical expertise of the operations, coupled by Sheikh Fadlallah’s jurisprudential support for Mughniyeh’s jihad, gained him a number of fans in regional jihadi circles. At the same time, both Israeli and American intelligence officials began investigating the IJO and Mughniyeh, marking the beginning of a 25-year international manhunt spanning five continents. It was during the mid-1980’s that Mughniyeh began to adopt more clandestine tradecraft, including the use of multiple aliases, facial surgery, and feeding counter-intelligence to his own lower-level operatives. With the departure of the MNF in early 1984, the internal fragmentation of Lebanon intensified. The ensuing power vacuum allowed for Mughniyeh and his Hezbollah cadres to kidnap scores of journalists, spies, and academics, who would later be used as bargaining chips in Iran’s geopolitical agenda. At the same time, the hostage ransoms were often used to support the costly Iranian war effort in Iraq. The first major kidnapping victim was CIA Beirut Station Chief Col. William Buckley. Abducted by Mughniyeh in March, Buckley was allegedly tortured for 16 months at the Imam Ali Barracks in the Bekaa Valley until his execution was announced by the IJO in October 1985. The power vacuum Mughniyeh created helped to further Iran’s geopolitical agenda. The Buckley affair placed Mughniyeh at the top of the CIA’s Most Wanted List. His fearsome reputation included the hijacking of several planes, including TWA Flight 847 from Athens to Rome in June 1985. The TWA incident won Mughniyeh top billing on the FBI’s Most Wanted List. The success of the operation, which led to the freeing of 60 Hezbollah terrorists from Israeli prisons, facilitated Mughniyeh’s entry to the Iranian inner circle. The Iran-Iraq War was finally ending. Many in the Tehran regime viewed the war’s end as a time to refocus on an enemy that could unite Persians and Arab Muslims. By targeting Israel, Iran could forge relationships with Arab groups over a shared hatred of the Jewish state and expand its regional hegemony. In changing its objectives, Iran identified the need to expand its influence in Lebanon, capture ground militarily against Israel, and limit the public exposure of Mughniyeh and his emerging international network of terror. Mughniyeh worked with the newly formed Qods Force, whose responsibility was to export the Islamic Revolution worldwide. Because of Mughniyeh’s military success in elevating Hezbollah to a position of power in Lebanon, he was an important asset for the Qods Force in creating revolutionary movements around the world. He remained in Iran until July 1990, when Syrian and Iranian military leaders came to an agreement that Hezbollah would only use Lebanon as a base of operations against Israel, not global terror operations. Somewhat in response to the deal made at that meeting, Mughniyeh established Hezbollah’s Special Research Apparatus (SRA). The SRA was responsible for most of Hezbollah’s important global operations launched outside Lebanon during the 1990’s. As Hezbollah continued to establish itself in a post-civil war Lebanon, Mughniyeh quickly created an extensive network of operatives in Latin America, Africa, Asia, and Europe. The 1990’s marked a decade of expansion for Mughniyeh, as he coordinated multiple bombings on Jewish targets around the world, assisted Osama bin Laden in the formation of al-Qaeda, and began establishing pro-Iranian Palestinian terror cells in the West Bank and the Gaza Strip. While much attention is generally paid to Mughniyeh’s involvement in the 1992 and 1994 Buenos Aires attacks on the Israeli Embassy and the AMIA Jewish center, it is his time spent in Sudan that turned him into a bona fide global jihadist. The 1990’s marked a decade of expansion for Mughniyeh as he assisted Osama bin Laden in the formation of al-Qaeda. Sudan had become the region’s second Islamist government following General Omar al-Bashir’s 1989 coup. Among the various jihadist organizations in Sudan was the Egyptian Islamic Jihad (EIJ), one of the central pillars of bin Laden’s al-Qaeda network. Ayman al-Zawahiri, who spent three years in an Egyptian prison for his involvement in the assassination of Egyptian President Anwar al-Sadat, became the commander of the EIJ in early 1991 whilst living in Sudan. In April 1991, al-Zawahiri reportedly traveled to Tehran to meet with Iranian officials in order to ask for help in overthrowing the Egyptian government. As part of the agreement, Imad Mughniyeh came to Sudan to assist al-Zawahiri. Iran offered to finance Zawahiri’s EIJ as well as provide training in camps in Iran and Lebanon. Osama bin Laden’s move to Sudan in 1991 made the Khartoum regime a far greater threat to the West. Zawahiri, who had been Bin Laden’s personal doctor during the Afghan jihad, rekindled their friendship in Sudan. Soon after his arrival, bin Laden was introduced to Mughniyeh in order to discuss potential security agreements. Bin Laden knew of Mughniyeh’s success in expelling Western forces from Lebanon and hoped to achieve similar results throughout the Muslim world. Lacking proper military technology and tactical plans, Bin Laden’s desire to launch major attacks on the West could not be fulfilled without the help of Mughniyeh. Because of their mutual interests, Mughniyeh offered to train bin Laden’s senior aides and provide them with explosives training in Hezbollah camps in the Bekaa Valley from 1993 to 1996. Additionally, some of bin Laden’s men were sent to Iran, where they were trained by the IRGC, which also provided explosives and weapons for bin Laden’s future operations. Because of bin Laden’s deep hatred for the pro-American Saudi regime, which he believed had deviated from Shari’a law, Islamist Iran was a natural ally in his fight against the West. Mughniyeh assisted al-Zawahiri and bin Laden in the November 1995 bombing of the Egyptian Embassy in Islamabad in which 17 people were murdered. The embassy had been targeted because it housed Egyptian intelligence operations intent on flushing out Islamist militants in Pakistan and Afghanistan. Mughniyeh, whose signature tactics were apparent in the operation, reportedly provided stolen Lebanese passports to the attackers and operational intelligence to both al-Zawahiri and bin Laden. By 1996, the Sudanese regime faced heavy pressure from the West to expel bin Laden, so his early al-Qaeda cadres, with the help of Mughniyeh, traveled to Afghanistan, while also establishing cells and training camps in Yemen, Pakistan, Iran, and Lebanon. Over the next two years, the cadres that later formed al-Qaeda underwent extensive training, preparing for what bin Laden had been known to refer to as his “global jihad.” In the latter months of 1997, bin Laden reportedly suggested to the Iranians that they refocus their foreign policy and join him in his campaign against the United States. From an official standpoint, the Iranians had already ended their public endorsement of terrorism, particularly with the election of the ostensibly pro-Western President Mohammad Khatami; however, Mughniyeh continued to act as a clandestine go-between for weapons transfers from Hezbollah to al-Qaeda operatives in Afghanistan. The formal establishment of al-Qaeda was announced in a 1998 fatwa issued in the name of the World Islamic Front for Jihad Against Jews and Crusaders, claiming that it would target Western and Jewish targets all over the world. Months later, those words would turn into action as al-Qaeda operatives launched simultaneous suicide bombings at the American Embassies in Dar es Salaam, Tanzania and Nairobi, Kenya. Mirroring both the geopolitical targets and the modus operandi of Mughniyeh’s 1983 attacks in Lebanon, the suicide car bombs in Dar es Salaam and Nairobi killed 231 people and injured over 5,000. In addition to training the operatives who carried out the East Africa bombings, Mughniyeh was reportedly traveling through Iran, Afghanistan, Lebanon, and Pakistan facilitating continual training of al-Qaeda cells. Further implicating Mughniyeh and his Iranian handlers in the attack was the fact that one of the operation’s planners, Saif al-Adel, took refuge in Iran immediately after the attack. As Mughniyeh continued to train bin Laden’s al-Qaeda cells into the 21st century, Iran’s Supreme Leader, Ayatollah Ali Khamenei, settled upon an official policy regarding Iran’s relationship with bin Laden’s group in a top-secret document authored by Iranian intelligence in May 2001. The document, sent from Khamenei’s head of intelligence to a unit within the Iranian Ministry of Intelligence and Security directed by Hujjat al-Islam wal-Muslimin Mustafa Pourkanad, stated the importance of the shared strategic goals of al-Qaeda and the Iranian regime in their “battle against the global arrogance headed by the U.S. and Israel.” Ultimately, the secret document is vital to understanding Mughniyeh’s link to the largest terrorist attack on American soil in its history. The 9/11 Commission Report discovered that Mughniyeh and his top SRA aides accompanied eight of the 19 hijackers out of Saudi Arabia via Tehran and Beirut in October and November of 2000. In response, President Bush signed an executive order threatening sanctions against all states whose banks had financial relationships with Mughniyeh. Further evidence linking Mughniyeh to the attack is represented by Ramzi Binalshibh, an intermediary between top al-Qaeda officials and the hijackers, who used an Iranian visa that had been issued at the Iranian Embassy in Berlin in late 2000 and who spent the majority of 2001 in Tehran. In the aftermath of the attack, Mughniyeh facilitated the travel of al-Qaeda’s leadership from Afghanistan to Iran in order to protect them from the American military invasion that was launched on October 7, 2001. In addition to housing both Ayman al-Zawahiri and the head of al-Qaeda’s military wing, Saif al-Adel, Mughniyeh arranged housing for several members of the bin Laden family. Mughniyeh also used his international network to traffic most of al-Qaeda’s assets through Africa in the form of gold and conflict diamonds in the months after 9/11. By 2002, Mughniyeh was supporting both Shi’a and Sunni groups throughout the region on behalf of the Iranian regime. In Lebanon, Mughniyeh’s wave of kidnappings and cross-border attacks on Israel were perceived in Lebanon as reasons for Israel’s official withdrawal in 2000, as well as Hezbollah’s perceived victory in the 2006 Lebanon War. Israel’s withdrawal offered Mughniyeh a unique opportunity to establish military fortifications in southern Lebanon, which would later be used in the 2006 Lebanon War. Shortly after the IDF’s departure in May 2000, Mughniyeh coordinated the kidnapping of three IDF soldiers on October 7. Operation Montazeri was a carefully organized kidnapping operation carried out during a planned Hezbollah demonstration. All three soldiers were killed, and their bodies were exchanged for the release of Lebanese prisoners in Israeli jails in 2004. Mughniyeh’s role as the intermediary between Iran and Palestinian groups in the West Bank and Gaza was uncovered on January 3rd, 2002, when Israeli naval commandos boarded the Gaza-bound ship Karine A approximately 500 kilometers south of Eilat in the Red Sea, successfully taking control of the ship without firing a single bullet. The ship was carrying 50 tons of weapons that were estimated at about $15 million in value, intended for the Palestinian Authority. The weapons found on board included 122mm and 107mm Katyusha rockets with a range of up to 20 kilometers, 80mm and 120mm mortar shells, anti-tank missiles, anti-tank mines, sniper rifles, Kalashnikov rifles, ammunition, rubber boats, and diving equipment. By the summer of 2006, both Hamas and Palestinian Islamic Jihad were on the warpath against Israel, which led Mughniyeh back to the operational drawing board in a series of meetings with both Iranian President Mahmoud Ahmadinejad and Syrian President Bashar al-Assad in Tehran. By July 2006, three IDF soldiers, Gilad Shalit, Ehud Goldwasser, and Mark Regev, had been abducted by Hamas and Hezbollah respectively along the Gaza Strip and Lebanon borders. Despite the fact that there is no concrete evidence linking the Shalit kidnapping to that of Goldwasser and Regev, Mughniyeh’s links to both Hamas and Hezbollah, as well as the timing of the incidents suggests some degree of collaboration. From a tactical point of view, the kidnappings forced Israel into military action on two fronts, preventing the Jewish state from succeeding in Lebanon or the Gaza Strip. During the 2006 Lebanon War, Mughniyeh ordered battlefield tactics that surprised Israeli troops with their ferocity and effectiveness, utilizing the underground trenches built with the help of the Qods Force after the IDF withdrawal in 2000. Living on the run between Iran, Syria and Lebanon, Mughniyeh became increasingly fatigued, overworking himself to the point of illness and exhaustion. After evading Israeli and Western intelligence officials for over 25 years, Mughniyeh was killed in a mysterious car bombing in February 2008 following a series of meetings with senior Syrian intelligence officials in the Kfar Sousa neighborhood of Damascus. The parties responsible for the incident remained a secret for several years. In January 2015, The Washington Post published an investigation into the assassination, which was reportedly the result of a joint Mossad-CIA operation. In the wake of his death, the various armed groups supported by Mughniyeh began to adopt more nationalist agendas. In the Palestinian Territories, many of his trainees became top-level commanders of Hamas and Palestinian Islamic Jihad. In Lebanon, his students became architects of Hezbollah’s strategy in Syria. In Iraq, Shi’a insurgency groups trained by Mughniyeh became the pallbearers of Iraqi democracy, while their Sunni counterparts would slowly develop into the gruesome phenomenon that is now known as the Islamic State. Yes, the Islamic State is currently waging a war against the Iranian-backed Shi’a government in Iraq, but that’s precisely why we must remember that it was Mughniyeh’s European cells that facilitated the flight of Zarqawi’s cadres of jihadists from Europe to Iraq and Afghanistan in the early 2000s. Those very same networks continued to facilitate the flow of fighters into Iraq via Syria in what is often referred to as the “jihadi highway.” With the nightmare of Paris still looming in the public consciousness of the Western world, it is these jihadi networks that have returned to Europe in order to carry out mass casualty attacks against civilians. If we are ever going to find a way to nullify the Islamic State’s threat to the West, the answers will not only be found in the banlieues of Paris or Brussels’ impoverished suburb of Molenbeek, but also in West African diamond mines, Latin American cocaine trafficking networks, and a myriad of Southeast Asian black markets. While Mughniyeh remains dead, the torch has been passed on to the Islamic State.